A video montage of the trial. SAA has decided to hold a second selection trial. More info here. The trial was cancelled. 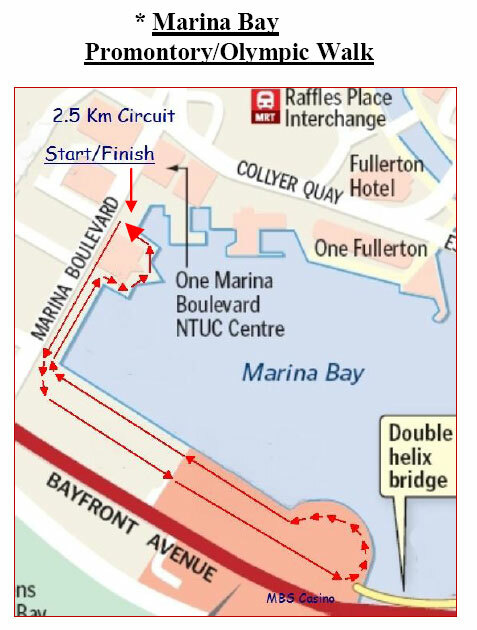 Selection trial was held by SAA on Sunday 8th January 2012 at 7.30am around the Marina Bay Promontory/Olympic Walk with a loop of 2km circuit. Due to non of the athletes qualified, during the trial. SAA reserve the rights to the selection of athletes. 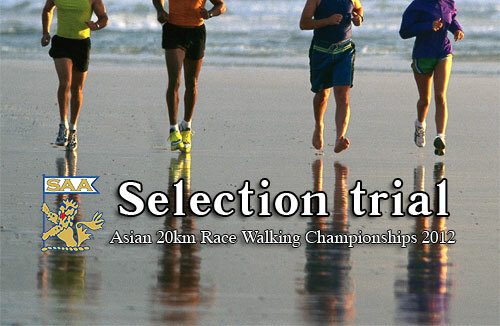 Selection trial for Singapore representative to the Asian 20km Race Walking Championships 2012, to be held in Nomi (Ishikawa prefecture) Japan on March 11th 2012. Closing date to sign-up for the trial selection is 4th January 2012, Wednesday. a) For Singapore Citizen (Male/Female) only. 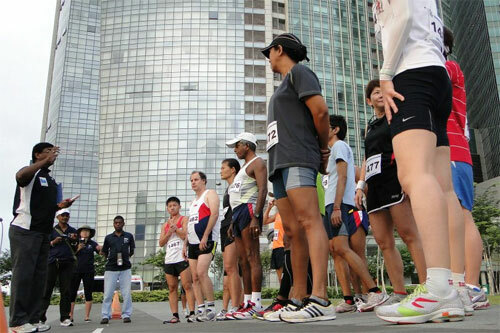 (The timing was based on the 6th placed walker timing at the recent SEA Games in Indonesia). and if more than 10% off the qualifying timing 100% of the Air-Fare. e) Any athletes who were disqualified (Breaching the walking rules) during the trial shall not be selected.